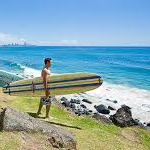 Considered to be ‘surfer’s paradise,’ Gold Coast is famous for its seventy kilometer of beaches and four epic point breaks including the Superbank, which is considered one of the world’s finest breaks that produces tubes and solid walls. Canggu was until recently just a black-sand beach surrounded by rice paddies. Now, the fantastic reef break for intermediate surfers wanting to take their skill to the next level has become a little more crowded in peak season, though it remains laid back yet vibrant. 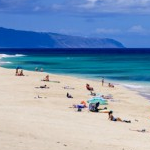 Oahu ranks at the top of every seasoned professionals list of great surfing spots. Every surfer’s dream is to ride the perfect crest of Pipeline, one of the heaviest waves in the world. 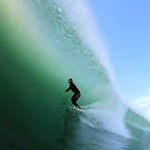 The waves grow in size over six meters of a shallow base of razor-blade table reef. Not one for the faint-hearted. 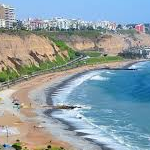 Peru has over fifteen-hundred miles of coastline. Lima, the capital of Peru, offers some of the best waves in all South America. 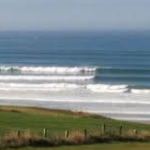 The waves range from a meter and up, which breaks in three sections making it perfect for surfers of all abilities. These waves are comparable to those found in Hawaii, with significantly less competition for waves and crowds. A cold surf spot for die-hard fanatics. With its flat rock reefs, Bundoran in County Donegal, is a few hours away from the city of Dublin. 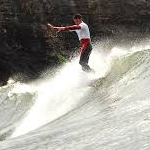 One of the world’s best surfing spots in Europe, Bundoran has huge waves, though the average is in the ten-foot range. Hawaii, where the sport originated, is surfing’s spiritual home. Waikiki, the beach-front neighborhood of Honolulu is a great place to learn to surf as the water is warm, the waves roll in gently and the rides are long, so when you do stand up you really get to enjoy it. 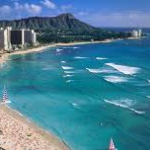 Waikiki offers a tropical beach holiday with good food included. 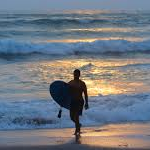 In the south-west corner of the Algarve, the attractive old fishing town of Lagos is well-placed to pick up swells from every direction, with breaks for all levels of surfer within easy reach. The town beach of Meia Praia is a good beginner’s wave, while Zavial, 20 minutes drive west, is a world-class point break for experienced surfers. 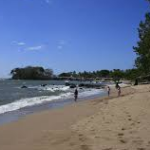 El Salvador is a natural tourist attraction that is gaining popularity with surfers. 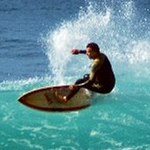 Popular surfing spots include El Zonte, Sunzal, and La Libertad because they are not very crowded. Visit the main swell season from March to October where you can expect the south swells to get up to 10 feet high. Be wary of rocky points and don’t surf bare foot. When the swell is pumping, Hossegor’s pounding beach breaks are not for the faint-hearted, but experienced and strong intermediates revel in some of the best waves in the world, and some of the warmest sea temperatures in the Atlantic. La Sud, at the southern end, is a calmer, more sheltered spot for novice and intermediate surfers. 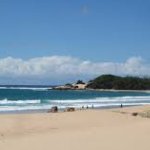 Mozambique has 2,500km of coastline, with tropical blue waters washing on to palm-fronted white sandy beaches. Tofo, on the Ponta da Barra peninsula, is a pretty beach town where small, clean waves are protected by a headland and a reef, good for novice and intermediate surfers, though more advanced surfers won’t have to travel far to find challenging reef breaks. On the coast of Cantabria, amid the meadows, dunes, forests, cliffs and beaches of the Oyambre natural park, sits the estuarine village of San Vicente de la Barquera. Merón is its main beach, with great conditions for learning and more difficult peaks for more advanced surfers. 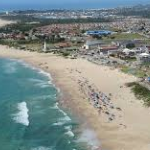 One of the most famous surfing destinations of the world located in the Eastern Cape province of South Africa, “J Bay” offers long fast barrels off the intense point breaks and has plenty of choices including Boneyards, Kitchen Windows, Magna Tubes, Point, Albatross and the mother of all waves, Supertubes.